What you get from the retreat will depend in large part on the intentions you set for yourself and how you follow through. You could put in earplugs and watch movies on your iPad all week if you want. You can also leave the retreat center and spend the day touring Santa Barbara.. Or you could sit in your car in the parking lot talking on your cell phone. ​Our orientation the first night will include an invitation to think about your hopes for the week, and to set some boundaries for yourself about how you want to spend your time. ​The retreat is mostly silent. Spiritual directors leading the morning presentations will speak during those times, and retreatants are invited to speak to ask questions. Retreatants will speak during your half hour with your spiritual director. Evening vespers include the opportunity to sing and speak to participate, but retreatants may also remain in silence if desired. Meals are in the dining room and are taken in silence. Retreatants can sit at a table with other people, or if there is space and you prefer, you can sit at a table alone. Our Sunday night dinner and Friday afternoon lunch are times for speaking. 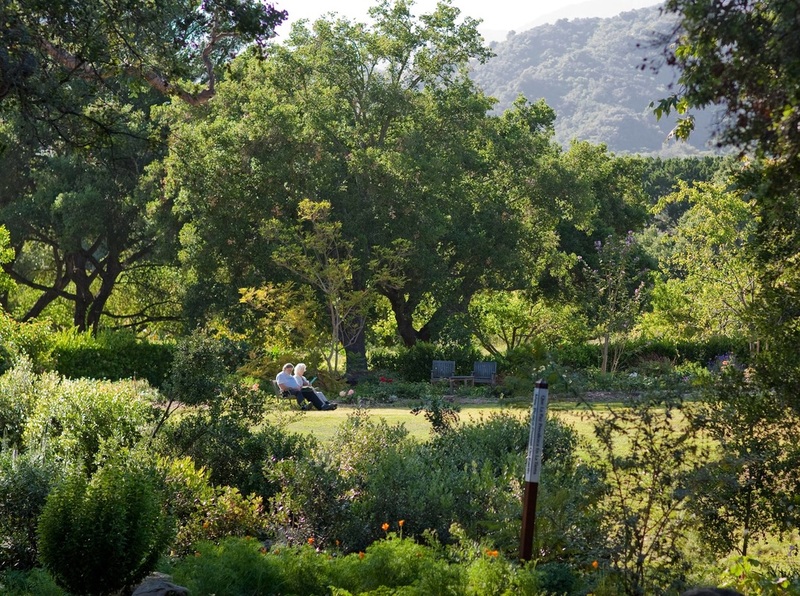 The retreat center offers numerous places to sit and reflect.